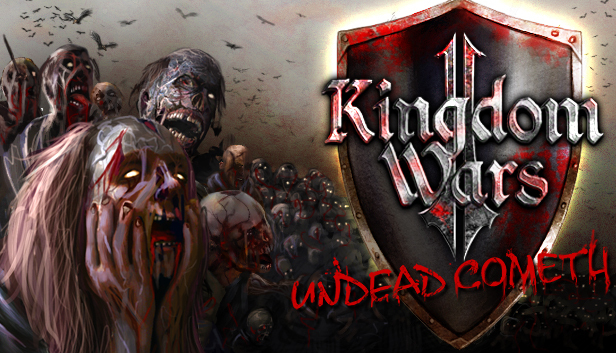 In case you missed the news - we are back to working on Kingdom Wars 2 - BIG TIME! Entire game is getting reworked and redesigned, with new engine, sweet new graphics, all the bugs are getting fixed up, and the game is getting a total makeover both in gameplay and presentation. We are calling this massive update - Kingdom Wars 2: Definitive Edition. And it will be released on Steam as a new game installation, but it will be added to everyone`s library (if you already purchased KW2B) automatically. So yeah - this is absolutely free for all our customers. We have been working on KW2D for months now, with Dev Langor taking the lead, but we still have a lot of work ahead of us. Our goal is to launch the beta towards middle of March. Really exciting for this reboot, and finally doing right by our players. Seems like a huge improvement. Thank you for your investment, I follow you from the beginning and always looking forward to see more. Keep in mind it uses simply remastered video trailer for now, and we are still working on new screenshots - these should be up within a couple of days. As for the updated trailer - we`ll aim to have this ready in mid-late April. Hey guys - sorry for the delay with replies. So the wait will be quite long. We are doing this right, completely rebuilding the game from the ground up. From main menu to combat, to even the way it plays - a lot easier to get into games, and more competitive. Official release is set for the first week of June. Will have KW2: Definitive Edition up within a week, will also include a lot of screenshots to show off how the game looks now. Once the beta launches, you`ll be able to play it whenever, and we`ll have updates there every week. With regard to the undead - if this Definitive Edition release will goes well, we are committed to making an expansion pack with undead as a playable race. @ KordoX and Matruchus - we will of-course fix the auto-save, and overall improve saving and resuming battles. However, campaign save will remain as is. But we might look into being able to start each chapter from the middle point. Have autosaves been fixed? Any save system added?